Ace Ferrara and the Dino Menace for iOS makes you a pilot, defending humanity against the space-faring dinosaur threat! The game’s developed by Philipp Seifried and published by BulkyPix. Dinosaurs are returning to take over the Earth using their spaceships, and players are tasked with stopping them! The game gives you control of Ace Ferrara as you engage in space combat and cartoon fun. Ace Ferrara and the Dino Menace contains great space combat adjusted with superb controls for a phone. It has a silly storyline that I enjoyed. It’s not so gripping that I was constantly hankering to find out what happened next, but it definitely entertained me and gave motivation to move forward into each next mission. Check out the trailer if you want to see more. If you decide you want to stop the Dino Menace, you can pick up the game for $3.99 on the iTunes Store. via Ace Ferrara and the Dino Menace for iOS | iPhone/iPod, Reviews, Action Games, Space Sims, Philipp Seifried, Bulkypix. 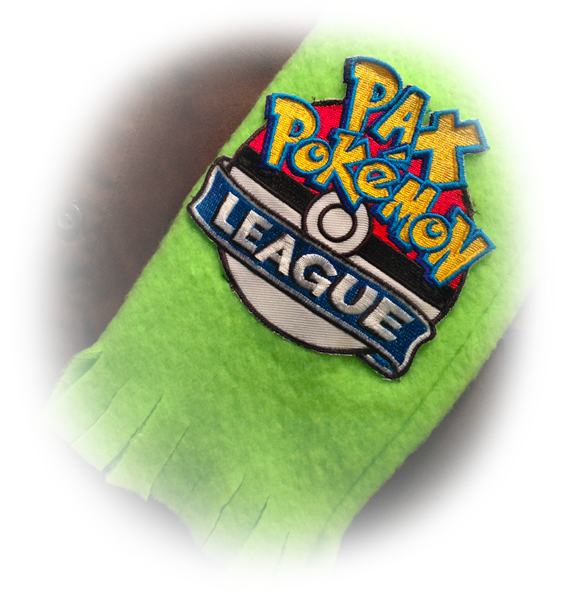 Did you know that there’s a PAX Pokemon League with gym leaders, badges, Elite Four, and champion? I didn’t until my friend, Alex, posted a link on Facebook to a Kotaku article on it. It’s such an amazing idea. At PAX, volunteers are acting as gym leaders and can be identified by green scarves (hopefully they don’t mind me borrowing the image used at the top). People can challenge them to Pokemon battles in Pokemon X and Y to earn their badges. There are a few basic rules, but it boils down to “don’t be cheap, and have fun.” The gym leaders can award badges at their own discretion, so you don’t necessarily have to defeat them to earn the badges. It’s too bad there wasn’t something like the PAX Pokemon League at SDCC; I would have loved to participate. On the other hand, it’s good on my wallet because it would have made me purchase the game. It’s a great idea, and I hope more things like this continue to happen. Meet The People Who Are Pokémon Gym Leaders In Real Life, Patricia Hernandez, Kotaku, 8/21/14. Teaser for The Behemoth’s Game 4! The Behemoth is one of my favorite game developers with a pretty stellar record so far. Alien Hominid, Castle Crashers, and their latest, BattleBlock Theater, are all fantastic games. They’ve been wonderful with the inclusion and focus on playing cooperatively with local friends as well, which is something I really value. Their booths always attract me, and I absolutely love their arcade cabinets. I’ve even been to local events. Game 4 is their newest game; The Behemoth just debuted the teaser trailer for it. I love it. And I love Will Stamper’s voice work. Game 4 will be playable soon at Pax Prime. I can’t wait to find out more about it. Source: First Look at Game 4, danp, The Behemoth Blog, 8/20/14.